Digital media protection system UltraViolet took a step toward consumer availability yesterday with the opening of its licensing program for content, technology, and service providers. Companies can receive licenses in five areas: content provider, retailer, streaming service provider, app or device maker, and download infrastructure or services provider. Long in the planning stages, UltraViolet is a content protect system that lets consumers build libraries of movies and TV programs, store their media in the cloud, then access it freely on other devices. The system will work with both physical and downloaded content. 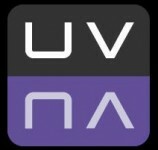 Media and hardware will be branded with the UltraViolet logo to let consumers know which are compatible. Consumer rollout is targeted for this fall. Licensees will need to abide by rigorous specifications to ensure that all UV-branded content and devices are compatible. With a project this far-reaching, it's crucial that consumers get a uniform and fluid experience. The specs include a universal Common File Format for downloaded material. With that format, downloaded media will be encoded and encrypted once, but will work across platforms on UV-branded technology. Licensees are now integrating with the UltraViolet locker system and beta testing it. 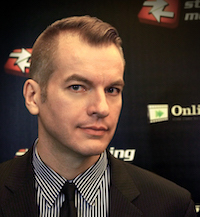 The platform's infrastructure was built by Neustar. "Consumers are looking for a better value proposition to own and collect digital movies and TV shows -- a proposition that provides downloads, streaming, and physical copy viewing options which are accessible on multiple platforms. The initiation of UltraViolet's business-to-business (B2B) licensing program represents another key step in the development and roll-out of this new ecosystem designed to respond to this consumer demand, says" Mark Teitell, UltraViolet's general manager. The Digital Entertainment Content Ecosystem (DECE), which oversees UltraViolet, announced that it added eight partners in the first half of this year: AMD, Blockbuster, CyberLink, NVIDIA, PacketVideo, Roadshow Entertainment, SeaChange, and Vudu. The consortium now includes over 70 member companies. The one significant omission is Apple: UV-branded content won't work with Apple devices.